Peter Selby’s polemic against modern money, An Idol Unmasked, was published a few years ago now, in 2014, but captures an attitude to money and modern finance that remains widely prevalent. It is, as he says, a book ‘about money, what it has become, and what it represents in our lives’ (page 3). His key claim, expressed repeatedly throughout the book, is that money has acquired the characteristics of an idol. It now rules peoples’ lives in a way it never quite did before. ‘The quite widely held view,’ he says, ‘that money is not in itself harmful, only the love of it or greed for it, is turning out to be out of date’ (page 3). Over two of the main chapters, Selby links this claim to the decreasing sovereignty of nation states over money, and the increasing role of global financial institutions in the creation and movement of money. More than that: ‘money has long since passed from the control of the public authorities and has become itself the major controlling force behind the organisation of society’ (page 30). Having identified the idol of money and its power over us, he then turns in the final chapters of the book to some theological reflection. 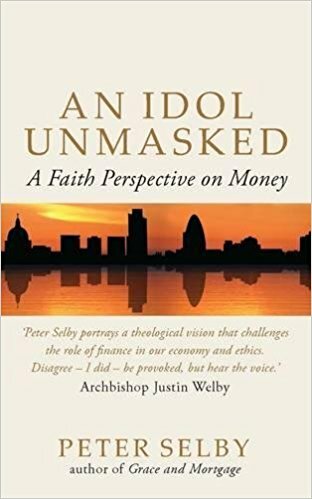 One immediately obvious flaw with Peter Selby’s claim to have unmasked the idol of money (expressed, for example, in the title of the book) is the inconvenient truth that associating money with idolatry is hardly a new idea. Identifying money as an idol or potential idol has deep roots in Judeo-Christian thought. It’s there in the Hebrew Prophets, in Jesus’ teaching about ‘Mammon’, in the apostolic teaching about greed (‘which is idolatry’, Col 3:5), and plays in important role in Christian ethical discourse thereafter. Selby clearly knows this, and even makes reference to some of this material, but seems strangely slow to acknowledge or engage with what others have said. To be saying something new, Selby needs to demonstrate that money has changed somehow – that it has become ‘more of’ and idol, with a more powerful role over peoples’ lives than it has ever had before. But the argument here is unclear. One problem is that he never quite defines what he means by ‘money’, and seems to use the word in a number of different ways — sometimes referring to currency, sometimes wealth, sometimes ‘a set of ideas’ or even a ‘controlling force’. Another problem is the absence of any evidence or data beyond the anecdotal to back up the claims being made. These are basic issues of method. There also seems to be an insufficient grasp of some of the issues. For example, Selby argues that the globalization of money creation – removing some of the sovereign power once possessed by individual nation states over their currencies – has given money a destructive, anarchic life of its own, ‘acting only on its uncontrolled instinct to produce more of itself’ (page 53). 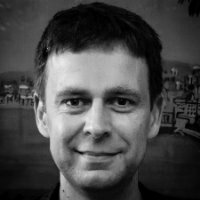 It doesn’t seem to occur to him that the decentralization of money creation might have some good features – taking away too much power from any one player in the system, for example. No doubt there’s much more to say on this, and these are complex issues. The problem is: the issues and counter-arguments are hardly raised at all. Selby generates considerable heat as he develops his polemic – but not much confidence in his depth of understanding. What then of the theological reflection towards the end of the book? This begins well enough with some reflections on the nature of idolatry. But we then get some very strained readings of Jesus’ parables as anti-market polemics (pages 98–110) – a classic case, if ever there was one, of someone reading into a text precisely what they want to hear. Weaker still is the proposed solution to the problems Peter Selby finds in modern money – what he calls ‘the mercy economy’ (pages 111–126). Given everything he’s said earlier in the book, this rather surprisingly doesn’t seem to involve getting rid of money altogether. It is in fact quite hard to work out quite what it is or might involve, beyond perhaps some debt forgiveness and maybe, perhaps, some kind of universal basic income (page 124). Whatever the ‘mercy economy’ is in detail, Selby seems to be suggesting that the solutions to the problems of money-idolatry lie in structural change or intervening to reform ‘the system’. For a theological reflection, there is precious little on the battle in the human heart behind our tendency to idolatry – and what can be done about that – which is where a deeper reflection on the Scriptures might have taken him. Reviews of bad restaurants can be fun to read and I suspect they are quite fun to write (which then compensates, somewhat, for the critic’s experience of the meal itself). Every failed dish or example of poor service is described and unpicked with a darkly humorous glee and relish. One could probably do the same with the claims and arguments of An Idol Unmasked, picking over them one by one. But the practical purpose of a bad restaurant review is to advise readers to find a meal elsewhere. Likewise with this book. Anyone in search of a balanced and insightful analysis of contemporary monetary systems and markets, coupled with some deep theological reflection, is not going to find it here. “An Idol Unmasked: A Faith Perspective on Money” was published in 2014 by Darton, Longman and Todd Ltd (ISBN 978-0-232-53111-4), 140pp.